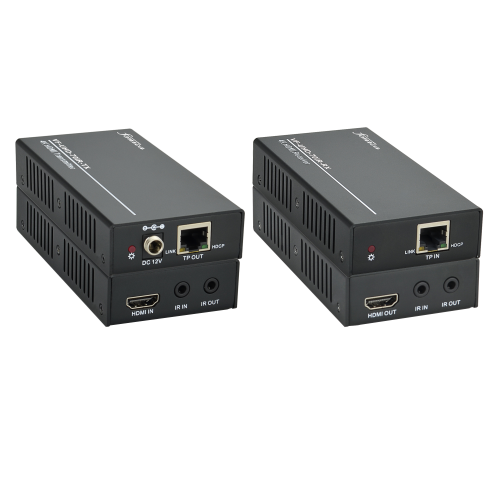 The Fonica VF-UHD-70IR is an UHD/4K HDMI/IR extender over a single category twisted pair cable. Maximum transmission distance is up to 70 meters with CAT5e/CAT6 cable. HDTV Compatible. 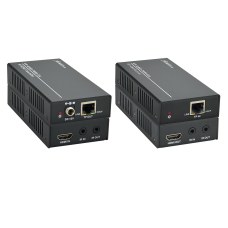 HDMI 1.4 and HDCP 2.2 compliant. Uses HDBaseT technology. 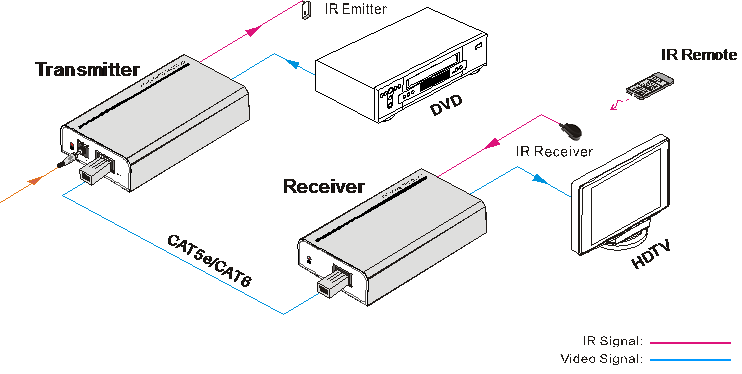 Bi-directional IR control. LED indicators show work status. •HDTV Compatible, use HDMI 1.4 and HDCP2.2 compliant. •LED indicators show work status. 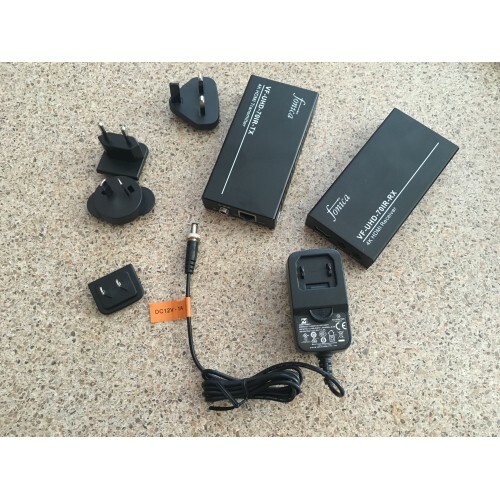 •External international power supply (100Volt~240Volt AC, 50/60Hz). 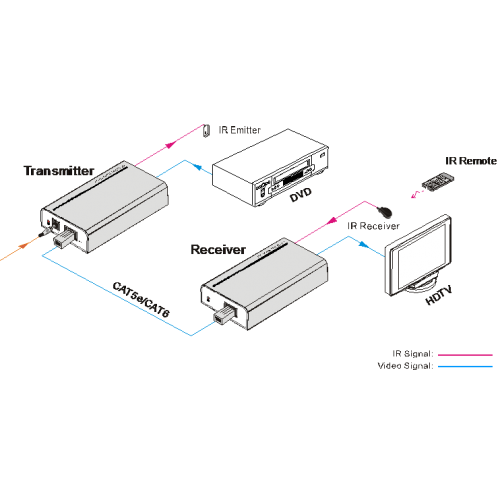 The FonicaVF-SC52THD is a full HD scaler auto switcher with 5 video, 1 audio & 1 MICinputs, it s..
VF-HDMI-CATx This HDMI Extender by CAT5 x1 uses one piece of CAT5e/6 cable to extend..